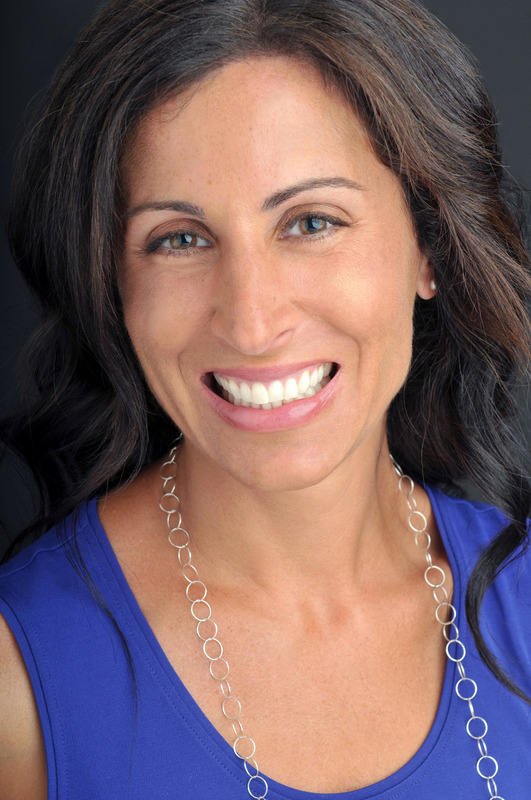 From neuroscientist and bestselling author Lisa Genova comes a story of resilience in the face of a devastating diagnosis. After a car crash leaves a vibrant mother in her thirties with a traumatic brain disorder called “left neglect,” she learns what truly matters most in life. Sarah Nickerson, like any other working mom, is busy trying to have it all. One morning while racing to work and distracted by her cell phone, she looks away from the road for one second too long. In that blink of an eye, all the rapidly moving parts of her over-scheduled life come to a screeching halt. After a brain injury steals her awareness of everything on her left side, Sarah must retrain her mind to perceive the world as a whole. In so doing, she also learns how to pay attention to the people and parts of her life that matter most. In this powerful and poignant New York Times bestseller, Lisa Genova explores what can happen when we are forced to change our perception of everything around us. Left Neglected is an unforgettable story about finding abundance in the most difficult of circumstances, learning to pay attention to the details, and nourishing what truly matters. This reading group guide for Left Neglected includes an introduction, discussion questions, ideas for enhancing your book club, and a Q&A with author Lisa Genova. The suggested questions are intended to help your reading group find new and interesting angles and topics for your discussion. We hope that these ideas will enrich your conversation and increase your enjoyment of the book. Sarah’s life is on track—the fast track. She and her husband both work 80 hour weeks at high-powered jobs in Boston, while spending as much time as possible with their three small children. Sarah is a juggler extraordinaire, keeping her demanding job and her family as balanced as she can. But when a car accident leaves her recovering from Left Neglect, a neurological impairment that robs her of her ability to control the left side of her body, she can barely get out of bed on her own. As Sarah struggles to resume her over-scheduled life, she must juggle new things—her son’s ADHD diagnosis, the return of her estranged mother, and her own limitations. Given a traumatic opportunity to reassess what is really important in life, Sarah must decide where her priorities lie. 1. Is Sarah better off at the end of the novel than at the beginning? If so, in what ways? 2. Sarah has a series of anxious dreams in the nights leading up to the accident. How would you interpret these dreams? What do you think her subconscious is trying to tell her? 3. Is Sarah a better mother before or after the crash? How do you think she would answer that question? Consider the amount of time she spends with her kids, her ability to keep track of them, and the level of participation in their lives. 4. The second time Sarah and Bob meet with Charlie’s teacher about his progress in class, they learn that he is the target of some bullying. Ms. Gavin tells them many children experience this whether or not they have disabilities. Do you agree with Charlie’s teacher? Do disabilities like ADHD make a child more of a target than other kids? 5. Sarah’s Type A personality seems like it should help her through her physical therapy, but her friend and therapist Heidi believes she needs to stop trying to “win” and learn how to “adjust.” Do you agree? Do you think by adjusting to her new limitations, Sarah holds herself back from a quicker recovery? 6. If Sarah had recovered completely, do you think she would have gone back to her high pressured job at Berkley Consulting? 7. While Sarah is in the rehabilitation hospital, she and Heidi trade watches, even though Sarah’s is clearly the more valuable of the two. Toward the end of the novel, Sarah notes that Heidi is still wearing her expensive watch, but never asks for it back. Why do you think she doesn’t reclaim her watch? 8. After Sarah’s accident, Bob uses his cell phone at least once while driving in the car with Sarah and their kids. Why do you think he does that? Do we sometimes make exceptions for ourselves and do something unhealthy or risky in the interest of saving time or getting more done (like texting or using a cell phone while driving) even when we know it is dangerous? Why do you think that is? 9. At one point Bob argues that he doesn’t think Vermont is a place to live full time when they are young. He sees it as a place to spend their retirement. Do you agree? What are the benefits of living and raising a family in a suburban setting versus a rural one? 10.Which character do you identify with the most? Which the least? Who is your favorite? 11.Is Sarah’s mother’s response to Nate’s death understandable or unreasonable? 12.What did Sarah miss out on by having such a withdrawn mother? If her mother had been more available, do you think Sarah would be as high achieving? 13.Sarah’s trauma gives her a chance to reconnect with her estranged mother. Why is it so hard for Sarah to forgive her mother? 14.Can working mothers really have it all—a successful career, well-adjusted children, a great marriage, a sense of well-being, and personal happiness? Or is that a myth? Does something always have to give? 15.Sarah’s work/life balance before her disability is weighted toward work, whereas after it is weighted toward her family. How would you categorize your own work-life balance? Does Left Neglected make you reconsider any of your career decisions? 16.The back cover states that the novel is “about what we ignore and neglect in ourselves, in our families, and in the world around us.” What do you think you are neglecting in your life? Yourself? Your relationships? Your home? Your job? 1. Sarah’s ideal life is to live in Vermont, close to winter sports and away from the bustle of the city. Imagine an alternative life for yourself. What does your Vermont look like? 2. The New England Handicapped Sports Association is a real organization in New Hampshire. You can check out their website at http://www.nehsa.org. The Photo Gallery, in particular, has a lot of great pictures that can help visualize Sarah’s snowboarding experiences. 3. Before the accident, Sarah muses about all the things that she wishes she and Bob could do, but don’t make time for. Make your own list of things that you don’t do as often as you’d like. Pick one to do before your next book club meeting, and share it with the group! 4. While she loves her high-powered job, Sarah periodically lets herself have timed crying sessions to cope with stress. Go around the group and share the coping mechanisms you use in your own life. Your first novel, Still Alice, was inspired by your grandmother’s struggle with dementia. What or who was your initial inspiration to write about Left Neglect? Over the years as a student and a neuroscientist, I’d every now and then come across a quick case study or mention of a patient with unilateral neglect. The information was almost always limited to pen and paper test examples of the symptoms of this condition—copying a picture of a face or a clock, circling all the letter A’s on a page, or naming all the items shown in a picture. The patients always neglected to include the left eye, the numbers 7-11 on the clock, and the A’s and items on the left side of the page. And while I thought this was fascinating, what captured my attention and wonder even more was imagining how these patients LIVE with unilateral neglect. What is life like outside the doctor’s office? How does someone with this get dressed, go to work, cook a meal, eat a meal, function in a relationship, navigate a whole world while only paying attention to half of it? 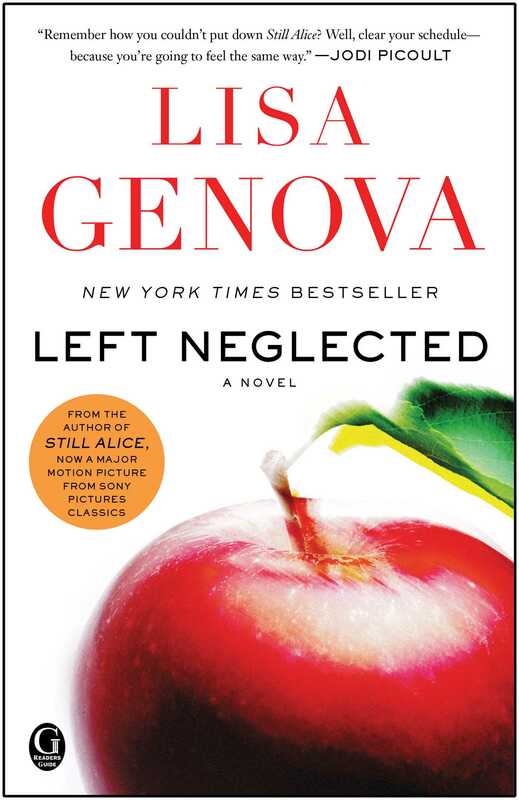 Before I finished writing Still Alice, I knew I wanted to write about someone with Left Neglect next. You note that you interviewed many different kinds of women in preparation for Left Neglected, including women with careers, disabilities, families, or all of the above. What was the most surprising thing you learned during these interviews? I interviewed both men and women who have Left Neglect, their husbands and wives, their neurologists, acute care nurses, occupational therapists, physical therapists, speech therapists, rehabilitation specialists, physiatrists, and research scientists. I also interviewed a teacher and a guidance counselor to better understand how an elementary school handles a young child with ADHD, the executive director of New England Handicapped Sports Association, and women with educations and careers similar to Sarah’s. The most surprising thing I learned was that someone with Left Neglect could learn to snowboard. I had originally imagined that Sarah would have to give up her love of skiing down Mount Cortland for some other, safer substitute—maybe cross country skiing on flat terrain or a sedentary activity like knitting. I have to thank Julia Fox Garrison here for telling me not to give up on Sarah and for suggesting that she might be able to make it down the mountain on a snowboard. I eventually met with Tom Kersey of New England Handicapped Sports who explained to me that Julia’s hunch was indeed correct, and he showed me how they would teach someone like Sarah to snowboard. I was so genuinely surprised and thrilled to be able to give Sarah a snowboard and get her back on the mountain she loves. Which takes longer: the research for a book like this, or the actual writing? Which is more difficult: developing the research or developing the characters? For both Still Alice and Left Neglected, I did the bulk of the research up front before beginning any writing—a period of about 3-4 months. Writing the story took about a year and a half. I enjoy both, but research is far easier. I love that I have the opportunity to learn more about these conditions and to be able to get at answers and subtleties that can’t be found in text books. It’s always such a privilege to learn about Neglect or Alzheimer’s from the experts—whether that means a physician or a person living with it. And while writing is truly a solitary endeavor, the research phase is a chance to reach out and include others in the process. For me, research first means reading everything I can find that might be relevant to Left Neglect, both in the scientific and clinical literature and also in nonfiction and even fictional accounts. I then find people who deal with the condition directly and talk to them in person whenever possible. For Left Neglected, this meant talking to people who have Left Neglect, their spouses, neurologists, nurses, rehabilitation specialists, occupational therapists, physical therapists, research scientists. It involved trips to Spaulding Rehabilitation Center in Boston, the Rehabilitation Hospital of the Cape & Islands, and New England Handicapped Sports Association. Which character was the most fun to write? Which was the hardest? I had a blast writing Sarah. She and I are similar in lots of ways—in age (although I’m older now; so not fair! ), we both have three kids (I had two when I wrote the book, but I’ve since caught up), and I worked as a consultant for a strategy consulting firm for a couple of years, so I know that high-powered, crazy-houred work world that she inhabited. I also certainly know the challenges around paying attention to what really matters most and finding and maintaining a healthy balance in life. So, I can identify most easily with Sarah. But I’d say I enjoyed writing her the most for her humor. I laughed out loud so many times while writing something she’d say or think. I love her ability to see humor in even the darkest moments. I also really loved writing her dream sequences. I read a couple of books on dream analysis and had a lot of fun letting Sarah’s subconscious mind run amok in those dreams. There has been a lot of writing lately on the dangers of multi-tasking and its effect on the brain. As a neuroscientist, what is your perspective on the fast-paced life exemplified by Sarah? Recent advances in technology have made life more efficient in so many ways, but it has also put multitasking demands on our brains like never before—computers open to many screens at once (email, Twitter, Skype), text messaging, 100’s of channels on the TV, never mind the live human being trying to engage us in conversation. Our brains haven’t evolved to respond to so many stimuli all at once. So it often fails. When overburdened with stimuli, we can’t filter out irrelevant information well, and it becomes difficult to truly focus on any one thing. Also, the kind of fast-paced life exemplified by Sarah causes stress. This feeling of stress triggers a cascade of physiological consequences. The hypothalamus and pituitary gland in the brain release hormones that cause the release of cortisol from the adrenal glands located on the kidneys. Cortisol increases heart rate, among other things, readying the body for ‘fight’ or ‘flight.’ Acutely, the release of cortisol is beneficial and helps you cope with whatever is urgently being demanded of you. But if the stress becomes chronic, maladaptive things begin to happen. Normally, the release of cortisol turns the hypothalamus and pituitary off, stopping the release of hormone, which in turn stops the further release of cortisol from the adrenal glands. It’s a nice, clean, negative feedback loop. But in the chronically stressed, the loop breaks. The brain stops reacting to cortisol. Our natural, automatic shut-off valve stops working. The brain keeps releasing hormone, and the adrenal glands keep dumping cortisol into the bloodstream, even when the stressful thing that initially triggered the stress response is no longer around. Chronic, elevated levels of cortisol have been associated with a weakened immune system, deficits in short term memory, chronic fatigue syndrome, anxiety disorders, and depression. Left Neglected seems like a very clear call to slow down and reprioritize. Was that intentional on your part? Do you believe that ambitions like those expressed by Sarah at the beginning of the novel are manufactured by society, rather than innate? I didn’t start out with that motive in mind. In fact, when I began thinking about this book, I only knew that I wanted to write about someone with Left Neglect. For a short time, I toyed with the idea of writing historical fiction about President Woodrow Wilson who had Left Neglect following the stroke he suffered while in office (Imagine that!). When I ultimately decided to write about Sarah, it became clear early on that her Neglect would serve as the vehicle for her real transformation, forcing her to slow down and pay attention to what matters most to her and her family. I think everyone innately wants to feel productive, useful, and successful. But, in today’s culture, we seem to have this insatiable, competitive need to have more and be more. So, I think Sarah’s ambitions are driven both from within and from the influence of the people around her in Welmont and at Berkley. What is the most challenging part about fictionalizing real afflictions like Alzheimer’s and Left Neglect? I feel an enormous responsibility to portray these conditions as accurately as possible. Yes, Still Alice and Left Neglected are fiction, but my goal is always to tell the truth under these imaginary circumstances. When people with Alzheimer’s or Left Neglect take the time to talk with me, to share their own experiences, to let me inside their private lives, I have enormous respect for them and the information they’ve given to me. I know I need to use this knowledge with great care. And I hope that the stories I write will serve not only to entertain readers, but also to educate, to give real insight into what it’s truly like to live with these conditions. Sarah finds herself most at peace on the slopes skiing or snowboarding. Where do you find your own moments of peace? The beach (especially in the fall), yoga class, hiking a mountain trail, my yard. Still Alice and Left Neglected are stand-alone novels. Have you ever considered writing a series, or books linked by recurring characters? My ten-year-old daughter recently asked me a similar question, only her version involved vampires and werewolves. Many people have asked if I’d consider writing Still Alice from John’s point of view or a sequel to Still Alice about Anna or Lydia that takes place many years later, but I don’t think these are stories I’ll write. So, no series or recurring characters. That said, in Still Alice, Alice and John were supposed to go out to dinner with friends a couple of times. Their friends were Sarah and Bob. My next novel, Love Anthony, is about two women unknowingly connected by an autistic boy.